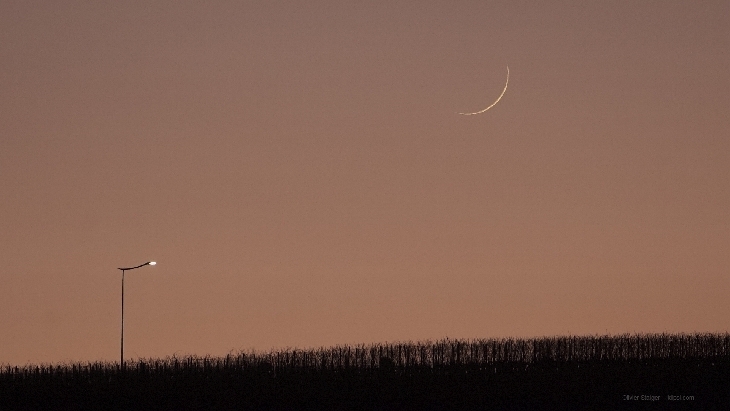 The islamic hijri month of Jumadal Awla 1440 AH was marked by the sighting of new crescent moons (hilaal) that were visible on the evening of Monday, 7 January 2019. There was no report of positive sighting on Sunday, the day before, so far. Thus, 1 Jumadal Awla 1440 AH starts on Tuesday, 8 January 2019. Below are some of the photos of the crescent moon of Jumadal Awla 1440 AH. 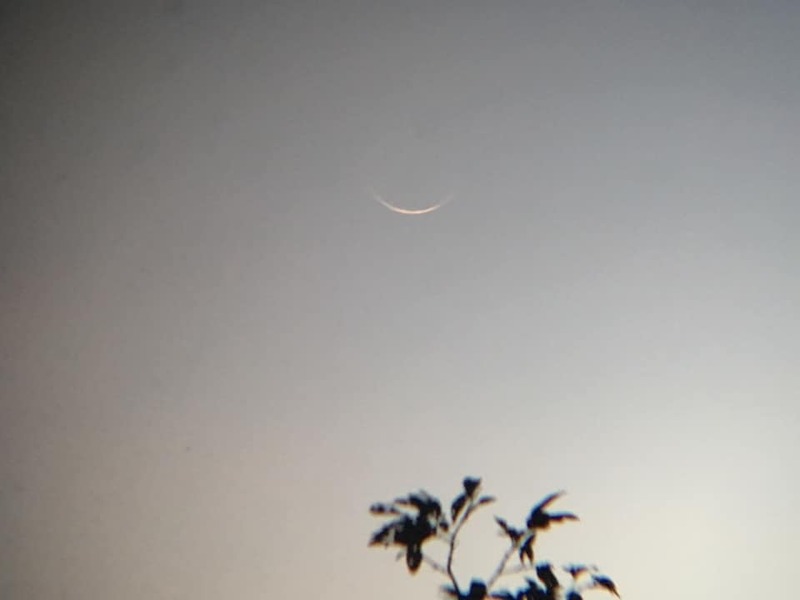 Photo of the new crescent moon (hilaal) of Jumadal Awla 1440 AH as sighted from Malaysia on Monday evening. Photo of the new crescent moon (hilaal) of Jumadal Awla 1440 AH as sighted from Swiss on Monday 7 January 2019. 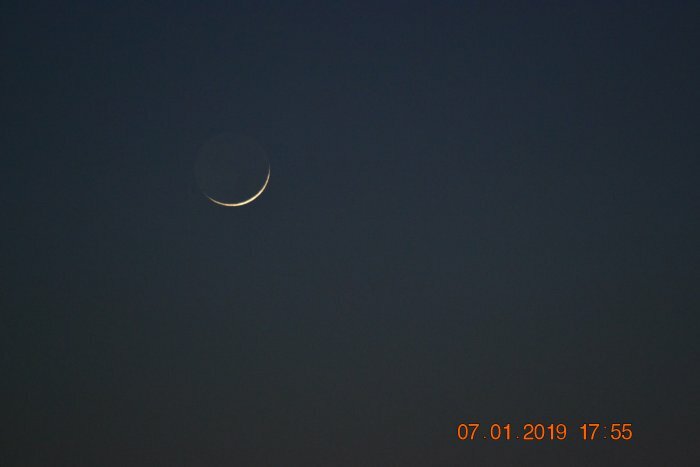 Photo of the new crescent moon (hilaal) of Jumadal Awla 1440 AH as sighted from Egypt on Monday 7 January 2019.